Intense discussions have been underway ever since the government announced its decision to bring about constitutional changes. Numerous seminars, symposiums and open discussions were held by various interested groups from all communities to ensure their rights in the proposed constitution. “Public would be given the opportunity to decide whether they need a new Constitution, Constitutional amendments with an Executive Prime Minister and a nominal Head of State. The government has not taken a final decision on the proposed Constitution. We do not know whether it would be a new Constitution or amendments to the current Constitution. We also have to decide on the electoral reforms and what to do with the much criticized Preferential Voting System” he added. However already a section of the Sinhalese community declared that they wanted a unitary constitution with Buddhism as state religion, but failed to speak about the rights of the minorities and status of other religions such as Hinduism, Islam and Christianity. Learning lessons from the recent history moderate elements in the majority community suggest the need to respect minority rights. Tamil National Alliance has forwarded its own suggestions to protect the interest of Tamils. In the case of Muslims, the National Shoora Council, umbrella body of around 18 Organizations, has called for suggestion from all sections in the community to be discussed by legal experts to prepare their own proposals to be submitted to the proposed new constitution. However Muslim politicians so far seems to be indifferent and have failed to get together leave alone discussing means to protect the interest of the community. They remain divided though the forthcoming constitution will seal the fate of the communities and the country for years to come. However many point out that Muslim politicians’ indifference is not something new. They were integral part of the Rajapaksa government till last minute when it unleashed violence against Muslims. They were only keen on safeguarding their positions and perks and not the interest or the dignity of the community. They joined President Maithripala’s camp at the eleventh hour when they found the Rajapaksa days were numbered and the community has already made its decision to vote for President Sirisena. This gave the clear message to SLMC opportunists to switch over Maithri’s winning camp. If we are to believe rumors the SLMC joined the United National Party led coalition under a deal which perhaps may have sealed their mouths, tied their hands and legs. Thus their inevitable indifference and overall silence on almost every issue concerning Muslims. The SLMC leader Rauf Hakeem began discussing with the TNA, the outdated proposal for the creation of a territorial non-contiguous Muslim majority council consisting of the Muslim divisions in the North and East based on India’s Pondicherry model. Many questions his wisdom of calling for such an enclave especially in the current highly charged anti Muslim atmosphere with Sinhala racist elements appears to be awaiting an opportunity to unleash violence on Muslims. However the need of the hour is for proposals to ensure the rights of Muslims throughout the island. They point out that Minister Hakeem has no right to negotiate on behalf of the Muslim community as his SLMC has only six seats and lost its position as the community’s leader . In fact the Muslim leadership has virtually collapsed and the community is passing through a period of leadership crisis and suffering a great. There are other Muslim parties too in the parliament. For example Minister Rishard Badurdeen’s Makkal Congress has five members and the United National Party has four. It is essential that the SLMC, along with others, discuss the subject, take their views and jointly prepare a set of proposals highlighting the entre Muslim community’s interest. Thus Minister Hakeem has no right to negotiate on behalf of the Muslims without consulting the other Muslims in other parties. This is a decision he should have taken after consulting and getting the views of Muslim parliamentarians and intellectuals of the community. In this regard many Muslims point out that Tamils failed to win the hearts and minds of Muslims especially in the north and east of the country and show that the two communities could live together despite LTTE atrocities towards Muslims and bitter past. The Tamils’ attitude towards Muslims in the aftermath of the defeat of the LTTE in 2009 resembles the attitude of defeated President Mahinda Rajapaksa government’s failure to introduce measures to win the heart and minds of defeated and wounded Tamils. This is the reason why the Muslims fear TNA’s call for the merger of North and East. They justify their fear by saying that the North East merger is to their disadvantage as it was proved ever since President JR Jayewardene was forced to sign on the dotted lines the controversial 1987 Indo-Sri Lanka Peace Accord which was negotiated in strict secrecy. In signing the Indo-Lanka Accord and the temporary merger of North and East provinces neither India nor Sri Lanka paid any attention to the interest of the Muslims, though they constitute a large sizeable part of the population of the two provinces. Muslims were kept in complete darkness about the Accord .They were not even briefed about the merging of the two provinces, though this move involved their destiny. India and Sri Lanka simply treated Muslims as if they were non-existent though they constitute more than 33 percent of the total population in the Eastern province and the merger of the Northern and Eastern reduced this to nearly 17 percent. The Muslim community’s fear proved right subsequently as they had to face untold miseries and hardships in the provincial council of the temporarily merged North-East province which reduced them into a minority within a minority. But there was no way they could express their views as there was no proper political platform or organisation which could highlight their grievances. Muslims were a voiceless and disorganised community then as they are now. Yet the Muslims were keen to live in harmony with Tamils as they have done so in the past for several centuries. However they now ask if the Tamils cannot live in a Muslim majority divisional secretariat how could the Muslims live in a Tamil majority divisional secretariat. If Tamils can’t live in a Muslim majority divisional secretariat the question is how the Muslims could live with Tamils in the merged North-East province. The Tamils have created separate divisional secretariat exclusively for them in several areas where there were Muslim majority divisional secretariats such as Nintavur and Karaitivu, Sammanthurai and Naavithanveli, Akkaraipatu and Aalaiadivembu and many more. There is one divisional secretariat for Kalmunai, but the Tamils want a separate divisional secretariat for them in Kalmunai. They point out the Tamils also placed obstacles for Muslims in the north in resettling in their own lands. They were also accused of blocking the town and country development program in Kalmunai and its outskirts. Living in harmony is in the interest of the two communities. However, under the existing circumstance, Muslims ask, how could we live together? Duplicity Of Northern Resettlement – Is The Hate Campaign Back? From the indifference he has shown when it came to anti Muslim attacks, to the lack of leadership when it comes to speaking up for the interests of the Muslims, Hakeem has let the Muslims down, because he prefers to cling to his power, hold his job, and look after himself. It is time the Muslims looked elsewhere for leadership and loyalty. Totally wrong. Pests are those who are ignorant, having nothing intelligent to contribute, and come here to make racist comments. They are a waste of time. You are getting your balls tangled. You are mixing Satan-Following Wahhabi with Muslims. It is like mixing up Sinhala “Buddhists” with Buddhism. Wahhabies, Satan-Followers, have been punished and directed to burn in Hell Fire on the day of Judgement along with Satan. Sinhala “Buddhists” have been punished, given the Mahawansa, and to get to Apaya, Hell, at the end. hah…hah..haa, Cockroaches -> Rats -> Muslims,…. There are more than 1.7 billion muslims in the world, and there is only 13 milllion Sinhalese Buddhists, you trying to mess around with them is like farting against thunder! the way you are behaving now, very soon you will be a spent force. The average IQ of a Muslim Globally is much higher than that of a Sinhala Buddhist. The Sinhala Buddhists are burdened with the lies and imaginations of Mahawansa. Some of the Muslims are burdened with Wahhabism and its clones, even though they have an average IQ higher than Sinhala “Buddhists”. What is common to both? They consider stupidity as a virtue. Is IQ an indicator of explosive power of bombs Mohommarasiri? That is the only way the Muslim kona kapuwas are seem to be out soing not only the Sinhalese, but even all other terrorist groups in the world. You make me laugh from the back side, you idiot. 1. Look in your Mirror. You will see one. Get treatment for yout stupidity from Jelte Wicherts, a Dutch psychologist.Your low IQ of 79 may even go up. A Jesish Rabbai says “kona kapuwas” helps Jews get more Nobel prizes. Will it help Sinhala Buddhist “kona kapuwas” to get Nobel Prizes? No way!. The are born Modayas, thanks to Monk Mahanama of Mahawansa. The problem for the Mislims and Sinhala Buddhists is not on their “kona”. It is in their “Olu-gediya”. Heads. Remember, there are more Non-Muslims in the World than Muslims, and they’ve all had enough with the Muslims. It was the introduction of the new Constitution in 1978 that created the space for the emergence of minor and minority political parties, such as the SLMC and the JHU. Prior to 1978, we had the situation where Muslim politicians were voted into office in predominantly non-Muslim electorates, while Muslim voters cast their votes enthusiastically for non-Muslim candidates in their respective areas. The 1978 Constitution with it’s Preferential Voting system resulted in the polarization of the Muslim and the Buddhist Communities, which in turn catalyzed the growth of anti-Muslim sentiment. Any analysis of voting patterns will reveal that the support base of the Muslim Political Parties have been weakening over the past 2 decades. Under the circumstances there is no basis whatsoever, for such Muslim Parties to claim that they represent the interest of the Muslim Community. They only represent the interest of those voters who voted for them and who happen to be Muslims. The Muslims have and will always vote for candidates who, in their opinion, will look after the interests of the Muslim Community – specifically, the non-violation of the basic need of Muslims for Physical Safety. The ethnicity and religion of such candidates do not matter to a Minority Group which constitutes less than 10% of the total population. It is time for the National Parties to once again, as in the pre-1978 period, ensure that there are in their ranks, men and women of standing who can regardless of their race or religion, win the confidence of the Muslim Community. The Muslim Politicians are indifferent to the Constitution-making process, because they are well aware of the fact that Muslim voters are indifferent to the existence of such politicians. Islam is a faith. It is not an ethnic marker. Nawaz Shariff is a Punjabi professing Islam. Muhamed Ali Jinnah was a Gujarati belonging to a Khoja Shia sect of Islam. Mr.Farook should advise his brethren to decide whether they are Tamils professing Islam or Sinhalese professing Islam. Muslim community of Sri Lanka is a constructed idea that owes its origins to British census makers who were always in search of the ‘exotic’ adopted the term ‘Moors; from the Dutch and the Portuguese. Fr Latheef Farook, Islam is all about Greed. Every time, in the name of islam he preaches expansion. Tamils failed to win the hearts and minds of Muslims! What a joke. Is this man for real? It is the Muslims who had failed to win the Tamils and have betrayed them and backstabbed them at every opportunity from the time of independence up to now and are now trying to play the victims and blame the Tamils for their current predicament. These largely low caste converted Dravidian Tamil immigrants from South India, who only migrated to the island a few centuries ago, largely seeking refuge, have constantly denied their real Dravidian Tamil Hindu origins and heritage and claimed a fake Arab origin for the entire community that only a few hundred families amongst them partially have. Even this is just one distant Arab ancestor. They pathetically cling to this 1% to 5% Arab blood in them, claiming this as their sole heritage whilst completely ignoring the 95% -99% Dravidian Tamil blood in them. Especially their Colombo/Kandy/Galle based elite, who like this author,for their own selfish power hungry interests have brain washed the Tamil Muslims masses, especially in the historically and ancient Tamil lands in the north and east, to hate their fellow Tamil Hindu and Christian kin, their Tamil origin and heritage and pathetically believe that they are all purely descended from Arabs and to worship anything Arab. This itself is a form of genocide,by brainwashing and denying an entire people to hate their own language heritage and worship and believe that they are something else. 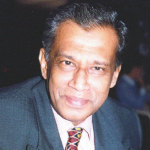 This has only been done as they think that by denying their Tamil origin and claiming this fake Arab origin, their immigrant South Indian origin community can escape the ancient hatred that the Sinhalese have for the island’s Tamils and hence utilise this hatred cunningly to their own advantage. More than 70% of them live amongst the Sinhalese and there are many Muslim majority towns and enclaves in the Sinhalese areas, However if you notice that will never clamour or demand for any Muslim homelands or autonomy for these Muslim areas in the Sinhalese south but only in the Tamil areas. This despite speaking the same language, a common Dravidian heritage and following the Same culture as the Tamils. If there is any necessity of protection and autonomy for the island’s Muslims it is more so in the Sinhalese areas and not in the Tamil areas. However they do the opposites. The reason is their elite like this author want the 70% of the island’s Muslims to live amicably with the Sinhalese but want the opposite in the Tamil areas, as they correctly feel correctly feel that the Sinhalese are powerful and are now ruling the island with the armed and police forces under their control, So demand for Muslim autonomy for Muslim majority enclaves in Sinhalese areas will be dealt sternly the Sinhalese and their armed forces but on the contrary the very same Sinhalese armed forces and authority will connive and encourage these backstabbing fake Arab converted low caste immigrant Tamil Dravidians from South India to claim and agitate for Muslim autonomy in the Tamil areas, as this will make the already helpless and weak Tamil and even more weak. These backstabbing Muslims also know this so are using this to their advantage to steal as much as Tamil lands as possible for their immigrant community. The north and east of the island from prehistoric times have always been Tamil land. This land had been continuously occupied by the Tamils ruled by the Tamils and no one else. Eve the Kandyan Kings who had a very loose overlordship of the southern parts of the eastern province during the 17th 18Th centuries, were Tamil Naickers from Madurai. To the Tamils in these regions he was a Tamil king. All the Place names (unit the illegal state sponsored colonisation of Sinhalese that took place only after independence ) are all Tamil and Hindu. Nothing Sinhalese, Arabic or Islamic. All the ancient ruins in the north and east denote only to an ancient Tamil Hindu or Buddhist presence. Nothing Sinhalese or Muslim. The Tamils were the majority in every district of the north and east until 1948. There was hardly any Sinhalese in these provinces. The Muslims only came here, especially to the east a few centuries ago as refuges fleeing Sinhalese and European persecution and were given asylum by their fellow Hindu Tamil. Now they trying to steal the lands from the very same Tamils who gave them refuge. No one is denying them their rights On the contrary it is they who are using brute force and trying to chase our the indigenous Tamil populations in the Muslim majority enclaves in the north and east to create Islamic homelands. The north and east are the ancient lands of the Tamils just like the south central and western parts of the island are the lands of the Singhalese. This has been internationally recognised by all the colonial powers. People who have only migrated here from other lands or brought here by various colonial powers, or even migrated own their own accord, have every right to live there practise their religion and use their language and be treated as equals, however they have no right to claim for homelands. This is like the Pakistani immigrants now claiming for home lands in British cities where they have now become a majority or Muslim immigrants/refugees in various European countries claiming for Islamic homelands in areas where they have become a majority. The Muslims in Sri Lanka are basically immigrants from South India , who only arrived here a few centuries ago and have spread and lived amongst the Sinhalese and Tamils in the island. 70% amongst the Sinhalese and 30% amongst the Tamils. They have never had any ancient history land claims or rulers in the island. In fact they were not even allowed to own land until the British changed the laws. Basically the three people who are associated with the ancient history and the island are the Veddas the Sinhalese and the indigenous Tamils from the north and east. Now some immigrant largely refugee community from South India that arrived here a few centuries ago is now only strangely and selectively claiming Islamic/Muslim homelands only in the Tamil parts of the island where only a small portion of the island and not in the Sinhalese parts of the island where the vast majority of them live cannot be allowed. They are only doing this as they feel the island’s indigenous Tamils are weak and so their lands can be stolen, with the help of the Sinhalese. Most of this is coming from their southern Colombo.Kandy based elite like this author. Tamil people are bad their language and culture is bad. They even want to deny their real Dravidian Tamil origin and claim a fake Arab origin but stealing Tamil lands is fine. Even now just read his article he just mentions about the present bad relations with the Sinhalese and then goes on to run down the island’s Tamils and starts making claims for Muslims homelands in the Tamil areas. These people will never want to the Sinhalese and Tamils to reconcile or solve this problem, as they feel their immigrant community will loose out, so will always come and try to spoil everything by making demands of Islamic homelands for their immigrant community in the Tamil areas. They want to live amicably with the Sinhalese but want to damn the island’s Tamils and steal their lands. They do not want the ancient Tamil lands in the north and east to be made one single unit as in ancient times and per Indo Sri Lankan agreement, as they feel this will maker the Tamils more secure and stronger in their own ancient lands. They want this to be divided and keep the Tamil east separate from the Tamil north as it makes it easier for them to steal and chase away more Tamils from the east with the help of the Sinhalese authority and the illegal settlers and ultimately make this their Islamic homeland for their immigrant community. They are just like the cuckoo bird that come and lays its eggs and ultimately takes over the nest from the real owner and kicks them out. paul,your anti muslim rhetoric is alarming.have you seen a Shrink?If not i feel it could end up in full blown madness.Hurry up and take the pills. You are an inhuman pathetic racist, and you’re writing the same usual crap repeatedly, give it a break man, Latheef is only highlighting the plight of people who like everyone else are entitled for their basic rights, what is wrong with it, why don’t you go and check how your brethren who went to Malaysia as koolies are treated, they are treated better than in their own country. Looking at dirty racists like you, no one feel sorry for what happened to your brethren in nadhikadal during the last stage of the war. Why is he a racist! he has only stated the truth. He has not posted to kill murder or discriminate the island’s Muslims or for that matter anyone. It is the author of this article who is very biased, however this does not concern you. You just do not like the facts that he posted as this challenges your prejudices and beliefs, so start insulting anyone who challenges them. You are no moderate man. It is you who cannot accept the truth and the racist. Paul, obviously an Ealamist, is pouring his scorn on the Muslims because the Muslims were strongly against the Ealam project which would have divided this small country. It is clear that the Ealamists will NEVER forgive the Muslims for spoiling their party. On the other hand, the Sinhala extremists and the BBS types have completely forgotten the invaluable contribution the Muslims made to thwart the Ealam project and prevent the division of the country. While the Ealamists’ fury is understandable to a certain extent, the Muslims are simply aghast at the antagonistic attitude of a section of the Sinhala community towards the Muslims. South Asian Muslims wanted their own state, now Muslims have their own two Muslim states in the region: Pakistan and Bangladesh, so there is know need to include them in the Hindu India’s constitution or the Buddhist Sri Lanka’s constitution. Sri Lanka and India have given Muslims more than they deserve, so be thankful. the merger is a pipe dream of sampanthan because he is an easterner.Once he dies, which he will very soon, the merger dream will also die with him.That is why god has created death for everyone because he knows humans are stubborn species.They will carry to their grave their views on matters,but after they are dead their views also will be dead and new ideas can progress. The sinhalese will never allow the merger.They can easily justify their stand to the international community because historically the east was not a part of the jaffna kingdom.sinhalese will always consider the merger as a stepping stone towards eelam. hence their absolute and resolute opposition to it.Without understanding the sinhala fears, for tamils to ask for something is stupid and will result in resentment and backlash. If their is no merger the sinhalese are not going to allow a seperate enclave for the muslims in the east.They will just say that the sinhalese,tamils and muslims in equal proportions in the east must learn to mix with each other and manage the eastern part cooperatively with each other.As the author rightly pointed out the sinhalese are restless with the muslims outside the north and east, and will be in no mood to give unnecessary concessions in the east. The east will finally settle down without any problems because all three communities are equally strong.It is when one community becomes the majority over the others that the problems start because minorities start to fear the power of the majority community as has happened in the rest of the country. We all know that the Sinhalese will not allow anything and the Muslims will do everything to sabotage the Tamils. The north and east of the island is Tamil land not Sinhalese or Muslim, it is not up to the Sinhalese or Muslims to dictate to the Tamils about their own lands. Despite large amounts of Tamils living in Colombo and in the central province and being a majority in some these areas, the Tamils do not dictate to the Sinhalese in these areas and the Muslims will never dare to. So why the opposite in the Tamil districts? The Sinhalese have no right to east or the north, more than 99% of them only arrived here after independence, deliberately and illegally settled in ethnically cleansed Tamil lands. These people who only arrived here only very recently and were illegally settled by the Sri Lankan government, have not right to decide on the fate of the Tamils and their land. This is like asking the Jewish setters to decide in the fate of the Palestinians in the West Bank. The Muslims arrived here as refuges a few centuries ago and now despite speaking the same language, practising the same culture, having the same origins are doing everything in their power to sabotage the right of the eastern Tamils to their lands and to steal it from them with the help of the illegal Sinhalese settlers. Your elite want the Muslims to live amiably with the Sinhalese in the Sinhalese areas, however in the Tamil areas agitate and want the opposite, thinking the Tamils are an easy target, so easy to steal their land. Remember when the immigrant refugee South Indian Tamil Muslims arrived in the east, it was mostly men and they all took local eastern Tamil women as their wives. So why this hatred and kolaiveri against your own fellow Tamil? The first settlement was around Kattankudi and the eastern Muslims still follow the Matrilineal Kudi System of the eastern Tamils, that is similar to Kerala and the Eastern Tamil Mukkuva law. It is not the Tamils who discriminate the Muslims in the east but it is the opposite. The Tamils have never discriminated them, treat them as fellow Tamils who follow Islam . However it these Muslims brainwashed their Colombo based elite to think that they are Arabs and hate to hate and deny their real Tamil heritage, have a chip on their shoulder against their fellow Hindu and Christian Tamils. Tamil never to anything to Muslims in the Tamil areas, however it is the opposite in the Muslim majority areas. Even recently the Kalmunai City council under the guise of city expansion and urban development was only trying the acquire Tamil lands. Funny the parent population of the Sri Lankan Muslims the five to six million Muslim population in Tamil Nadu, proudly identify themselves as Dravidian Tamil Muslims and live very amicably with their fellow Hindu and Christian Tamils. Famous Tamil Muslims are the father of Indian nuclear science and former Indian president Abdul Kalam. The Oscar award winning Indian composer A.R. Rahman. The Tamil movie star Nasar. Nagoor in Tamil Nadu is a huge Islamic centre. Most Sri Lankan Muslims still have relatives in Tamil Nadu. So their relatives in Tamil Nadu are proudly Dravidian and Tamil and they here are Tamil speaking Tamil haters and Arabs. What stupidity is this. If you cross the sea and go the Tamil Nadu the same Muslim is considered a Dravidian Tamil Muslim and when you return you are Tamil speaking Tamil hating Arab. on what basis are you claiming that east is tamil land?Are you also inferring by your statement that south,west and central are sinhala lands? if you are claiming that the east is tamil land because the tamils ruled the east,then you are wrong because the east was part of the kandyan kingdom,not the jaffna kingdom.You are right when you say muslims came in as refugees because it was king senerat who allowed them to settle in the east and central province because of persecution by the portuguese.He could not have done so if the east was not his. are you saying that all tamils who came to the south,central and west after independence do not have a right to any land there. I believe most of the sinhala settlements was on government lands.It is not against the law to do that.How do you think white people established the initial settlements in US,canada,australia and new zealnd.However i agree with you any settlements by driving out people is a crime,but if it is vacant it is okay.Land was not created by humans,but by the supreme being who will decide who is to reside where. Mr paul is unloading his dirty racist mentality over and over here…. His words and actions bears clear testimoney for why muslims can not live under merged north east. We, the SRILANKAN MUSLIMS a distinct ethnicity of this country feel proud in having the identification of SRILANKA an an inalienable part of our identification. 2/3 rd of our whole population is co-xisting with majority sinhala brethrens nourishing the atmosphere of peace and harmony. As well as whole heartedly we the 1/3 of Muslims living in northern and Eastern provinces are willing to recreate the environment of peace and harmony that prevailed before the emergence of bloody Tamil terrorist outfit, in those provinces. But, until those like Mr.Paul exists we can not even dream of creating that environment. Then how can we live under the admin of merged north east??? What’s wrong with the words of latheef… Nothing at all. So, we the SRILANKAN MUSLIMS feel proud in remembering that throughout the history of this mother country we have canvased and being convasing and will convas forever for UNITARY status of this country at the cost of thousands of our lives and croes of wealth. The pathetic and continuing camp living of our more than one lack Northern Muslims were the gift given by those seperatist forces for our patriotism. So, we the Srilanka Muslims living with n the Eastern province will NEVER ACCEPT a merged north-east. If that agenda is to be implemented as Paul says with the help of international forces we are ready to against it at any cost joining hands sinhala brothers of east, both amount 60% of its population. We are Srilanka for 1st 2nd and 3rd. We are Srilanka Muslims only next to that. Stop lying and trying to rewrite history. You Muslim backstabber. There is no such thing called a Muslim Buddhist Hindu or Christian ethnicity. These are religious identities and no where in the world do you ever get an ethnicity called Muslim Christian Hindu or Buddhist ethnicities other than in Sri Lanka. Only in Sri Lanka this was deliberately done by the powers to be and the selfish power hungry Colombo based southern Muslim elite, to divide and weaken the island’s Tamil population on religious and regional lines. You get an Arab Muslim a Bosnian Slavic Muslim, An Albanian Muslim, Malay Muslim, Turkish Muslim, Kurdish Muslim, Punjabi Muslim, Bengali Muslim, Tamil Muslim but no such race or ethnicity called Sri Lankan Muslim. What is that defines you and separates you from the rest of the island’s Hindu and Christian Tamil population other than your religion? Race? Ethnicity? Language? Customs? The answer is nothing. Just a dash of Arab amongst a few hundred elite Muslim families does not mean anything. You should be correctly classified as Sri Lankan Tamil Muslims and not Sri Lankan Moors. Your ancestors never arrived from Morocco or the Arabian Gulf but from Tamil Dravidian parts of India. You and the rest of the Muslims on this forum, ranting raving and personally attacking me and them claiming with all sorts of concocted historic lies only proves what I stated. A bunch of low caste converted Dravidian refugee immigrants who came to the island a few centuries ago, and been brain washed to believe that they are Arabs and hate their real Tamil Hindu origins from South India and will go to any extent to defend this lie. It may be safely argued that, the number of original settlers was not even more than a hundred.Sri Lankan Moors are not a distinct or self-defined people and the word (Moors) did not exist in Sri Lanka before the arrival of the Portuguese colonists. The Portuguese named the Muslims in India and Sri Lanka after the Muslim Moors they met in Iberia. Moreover, the term ‘Moor’ referred to only their religion and was no reflection on their racial or ethnic origin. Moors originated from Morocco. These people definitely are not, but from Dravidian South India. The popular view suggests that the Arab traders adopted the Tamil language only after settling in Sri Lanka This version claims that the features of Sri Lankan Moors as different from that of Tamils; they commonly have lighter skin tone . Thus, some scholars classify the Sri Lankan Moors and Tamils as two distinct ethnic groups, who speak the same language. This view is dominantly held by the Sinhalese favouring section of the Moors as well as the Sri Lankan government which lists the Moors as a separate ethnic community. However, a study on genetic variation indicates, an only below average genetic relationship between Arabs and the Moors. Proving that they are Dravidian Tamil converts to Islam with a dah or Arab. Several genealogical theories point out that they belong to Tamil ethnicity and the majority of their ancestors were Tamils who had lived in the country spanning generations, and had simply converted to Islam from other faiths. We all have a little bit of something in us. The little my slightly vary or alter our looks a lighter complexion eyes, facial features, however we are still defined by the great bit. So trying to ignore this 95%-99% great bit and only claim and solely identify with this 5% to 1% little bit and use this solely,to claim a different imagined identity is a joke. Even the Arabs have classified the Sri Lankan Muslims as low caste South Asian converts to Islam. Religion cuts across racial ethnic class/caste and linguistic barriers and can never be used to define a persons ethnic identity. People can convert from one religion to another, people within the same family belong to different religions. So then what happens then? The same person who converted moves from one ethnicity to another because they changed their religion or different members of the same family with the same ancestry/heritage now belong to different ethnicities because they belong to different religions. SO tomorrow if I convert from Hinduism to Islam my ethnicity changes from a Jaffna Tamil Brahmin to a Moor! Only in Sri Lanka something stupid can happen and a leopard changes its spots. Every time a Tamil changes his language to Sinhalese he becomes a pure Sinhalese Aryan and if a Tamil Hindu or Christian converts to Islam he or she magically change from a Tamil to a Moor. Now coming to the eastern province. In fact it was the Europeans who first misinterpreted the Mahavamsa and believed that the Sinhalese were Aryans and labelled the early Prakrit language as Sinhala. 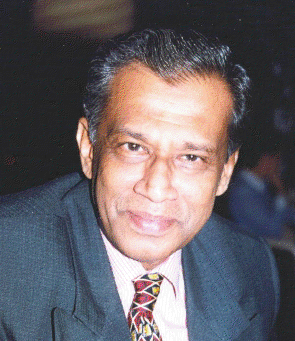 Today, due to the latest scientific discoveries in the fields of archaeological, epigraphical and anthropological research, the modern historians such as Prof. Leslie Gunawardane, (professor in history and a former Vice Chancellor of University of Peradeniya) and many other qualified historians do not accept that the Sinhala language or the Sinhala race existed during the early historic period. This attempt to Sinhalize the East and to give it an exclusively Buddhist historical colour is seen in the efforts of the previous Percy Mahinda Rajapakse administration. It is a naked attempt to grab Tamil land and to de-Tamilize it using history as one tool of many to legitimize the Sinhalization of the East. The declaration of Sampur as a High Security Zone, failed attempts to secure UNESCO World Heritage status for Seruvila, the demerger of the North and the East, the Government’s Neganihara Navodaya program, and post-Thoppigala celebrations are examples. There is a veritable industry to roll back the Tamil character of the region. Chola-era inscriptions record the activities of Tamil mercantile communities in Padavikulam (renamed Padavi Siripura in Sinhalese). The mercantile groups referred to were the Ticai Aayirattu Ain Nurruvar (Velupillai, Ceylon Tamil Inscriptions, Peradeniya, 1971) and the Ayyavole. Taniyappan, a mercant from Padavikulam, laid a foundation stone for a Siva temple there. A Tamil inscription by Raja Raja Chola refers to Ravi Kulamanikkeswaram Siva Temple in Padavikulam. (K. Indrapala, Epigraphia Tamilica, Jaffna Archeological Society, 1971 – page 34). A 13th century Sanskrit inscription excavated here mentions a Brahmin village in the area. The paddy fields of Padavikulam were watered by the Per Aru river (renamed Ma Oya in Sinhalese). While Buddhist remains in the East such as Deeghavapi and Seruvila do exist, these do not detract from the early Tamil association with the region just as the Tamil Hindu historical presence in the deep south of the island does not remove from the Sinhala character of the latter. I have highlighted a few of the many pieces of evidence that proves that the Tamil presence in the East is of considerable antiquity. The Tamils were a clear cut majority in that region until post-independent governments resettled Sinhalese in the region. Sinhalese Buddhist nationalism endeavors to suppress the historical evidence, but facts are stubborn. The Tamil Hindu historical claims to the East will not be forfeited regardless of the attempts by Percy Mahinda Rajapakse and the so called Sri Lankan Moor refugees who only came to the east a few centuries ago to transform the ethnic character of that land and steal it from the indigenous Tamils using the brute force of the armed forces and the government. If BBS drives the minorities to a corner. The merger of the North and East will have severe financial and economic consequences to the rest of the Island. The merger means Muslims will have no choice but to join the Tamils in a political alliance. Muslim’s money and the Tamil’s knowledge will gobble the South and the West. *** In the aftermath of Sharminis article “Rein in the Clowns” and Mahinthapalas misplaced attack on her Cosmetics I have some sympathy for your predicament. It looks as if Raful Hakeem instead of turning into an Ayatollah to rein in the Clowns who are casuing this misery( Politicians) has turned into a Real CLOWN and dancing round the Circus. Azeem Sham- your expression “We, the SRILANKAN MUSLIMS a distinct ethnicity of this country feel proud” says it all. Remember M.H.M.Ashraff began with the TULF at Vadukkodai. Just as the Muslims in the South were engaged with the Sinhalese, they engaged with the Tamils in the North and East. The Muslims are a proud race, they used to have the biggest empire after the British, they will not bog down or be intimidated no matter how anyone try to change their way of life. Their motto is get busy living or get busy dying. Is it true, that quran says you have to spit three times onto the food that you give to a non-believer if a non-believer comes to eat food from a muslim house. IF that is so, eating in muslim restaurants is sick. Ya! and how about the sweets that Muslims serve free to Sinhalese customers being laced with drugs that cause erectile dysfunction and the women become sterile, thus leading to impotence or lower birth rates. Or the hysteria about money collected on issuing Halaal certificates, purportedly amounting to millions being channeled to fund terrorist outfits overseas. Or better still, the one about Muslim establishments employing young Muslim men as sales staff to entrap Sinhalese girls with intent to convert and marrying them, so that they bear more and more Muslim children. Jim, you and Gnanasara both probably are birds of a feather since you tend to think and act alike to conjure up all that crap, but still manage to put on a straight face in public.